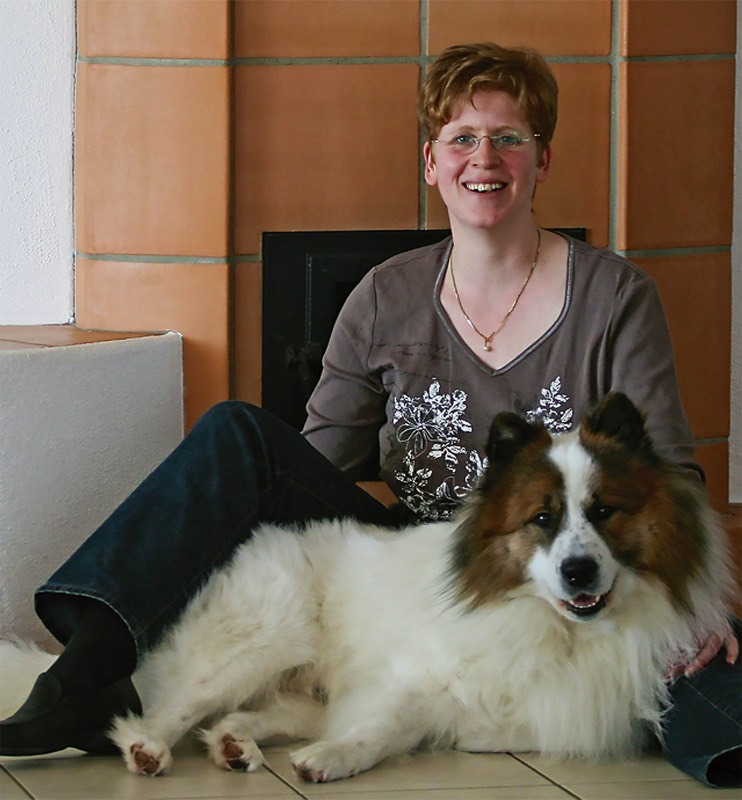 Martina Schöps lives with her husband, her dog, Watson, and her two cats, Tom and Jerry, in the Rheinland, Germany. A trained confectioner, she has had many years of experience in the sophisticated art of gastronomy. She also trained as a travel management assistant, before going on to form her own company. The idea of manufacturing healthy treats for cats and dogs came about because Lotte, a Labrador-Border Collie cross and the family dog at that time, was very sensitive to additives. When Martina began to bake her own healthy treats, Lotte’s health and condition began to improve. After much discussion with other dog owners, Martina decided to form a small company based on the idea of producing healthy, additive-free cookies and treats. So it was that, in 2006, ‘Schöps delicacies for cats and dogs’ was founded. Because of her training and more than 20 years of being a dog owner, it is never hard for Martina to come up with endless great recipes, much to the delight of many a cat and dog!